Since the use of clot breaking drugs like tPA are only effective the first few hours after symptoms begin, a rapid, accurate diagnosis is crucial. Football fans were shocked when Houston Texans coach, Gary Kubiak, collapsed during a game on November 3rd. He was standing in the field during half-time when he suddenly dropped to his knees, holding his head. Medical personnel took him off of the field in a stretcher and rushed him to a local hospital where he was diagnosed as having suffered from a transient ischemic attack, or TIA. A TIA is commonly known as a mini stroke and is considered to be a warning sign of an impending development of a larger one. The quick administration of a drug known as tPA most likely prevented a more serious stroke from occurring. Studies of the drug show that if given soon after the onset of stroke symptoms, tPA can dramatically increase the patients chances of full recovery. If you think that a medical professional missed the opportunity to administer this clot breaking drug to you or a family member, get in touch with a medical malpractice attorney today. There is a chance that their failure to diagnose your stroke in time led to medical problems that could have been avoided. 85% of strokes are known as ischemic stroke and involve the development of a blood clot that restricts the flow of blood to the brain. The other 15% are hemorrhagic, meaning there is bleeding in the brain. With ischemic strokes, the onset of symptoms is very rapid and obvious. Medical professionals around the globe have accepted the fact that administering tPA medications within a few hours of their onset will greatly increase a patients odds of recovery. The American Red Cross has even started a campaign to make people aware of the symptoms and the importance of immediate medical attention. Despite all of the attention, strokes are still not diagnosed properly at a rate of around 15%. Since the use of clot breaking drugs like tPA are only effective the first few hours after symptoms begin, a rapid, accurate diagnosis is crucial. The lack of blood flow to the brain from a clot will rapidly cause irreversible damage to brain tissue. Studies have shown that stroke patients who do not receive tPA as a method of treatment are more likely to suffer long term disability than those who do. An elderly Missouri resident was seen in an emergency room with the typical symptoms associated with a stroke. The physicians’ failure to recognize the signs and treat the clot promptly led to a permanent brain injury. The hospital involved settled the case for $1.2 million in lieu of going to trial. If you had a similar experience and now suffer a permanent disability from a stroke, it would benefit you greatly to get in touch with a medical malpractice attorney right away. With all of the media attention given to stroke symptoms and the use of pTA as an effective medication, any physician who cannot immediately recognize one and treat it may be considered negligent. Coach Kubiak was fortunate. Thanks to the fast response of medical staff his mini stroke was treated and a larger, more damaging one was avoided. Unfortunately this is not always the case. 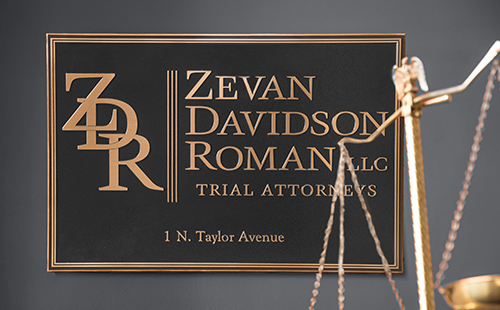 If you feel you have been a victim of medical negligence, contact a St. Louis medical malpractice attorney at the Zevan and Davidson Law Firm. Call (314) 588-7200 to schedule a free consultation.